Guess you have already heard about “Charity Work by Salman Khan’ or his organisation ‘Being Human’. But how much he have donated so far?? Let’s learn in this blog, the list of charity work and contributions done by Bollywood megastar Salman Khan. Salman Khan Charity work is always talk of the town. 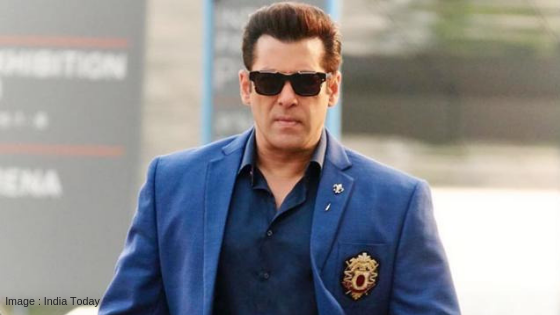 The Race 3 star has always indulged himself into the betterment of the society. From meeting Cancer patients to sponsoring the education of thousands of children, Salman Khan does it all. Many people say that Salman Khan Charity work is nothing but propaganda under his Foundation ‘Being Human’. Well, we have ‘Freedom of Expression’, can’t help but we have gathered enough information about it which we’ll list in this blog. As per India Times; Salman Khan uses only 10 % of his total income, rest goes for Charity. In the Year 2010, Salman Khan pledged to donate his Bone Marrow at a conference. And when there was a requirement for the same, He didn’t backed out, instead, he was one among the first donors. In the year 2007, Being Human was launched by Salman Khan and the first project of the foundation was to take 300 underprivileged kids for his recent hit film, Partner. Salman Khan’s Foundation was trolled for selling merchandise but little did this trollers knew that in 2016, a whopping 300 crores were raised by selling being human t-shirts, caps etc which was used for various causes. Even before Being Human, during 90’s Salman Khan used to visit Manovikas Kendras & NGOs for treatment of the deprived section of society. Salman Khan after attending a party found street children selling colouring books outside the venue. 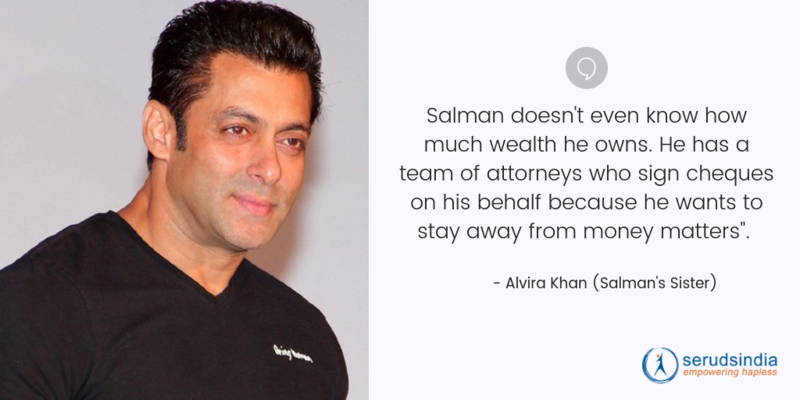 Since Salman carries only credit cards, he borrowed money from his bodyguards and bought the books. Also, Being Human sponsored education for those kids. During the shoot of Bajrangi Bhaijaan, moved by a letter from one of Kashmir resident ‘Zaina Begum’. Salman provided job to the elder son of Zaina and also gave order for the construction of the home for her family. Well, the list goes endless. Salman Khan Charity work for various social causes are as huge as his stardom. People have diverse opinions on him considering an active legal proceedings upon his name. Nevertheless nothing can belittle his charity work. Want to donate or contribute? Find donate button on top right of the page.